Erin Tureau has worked in the accounting profession for over 17 years. Erin began her career as an auditor. She worked for Deloitte & Touche in New Orleans, LA and then went on to work for the Louisiana Legislative Auditor which serves as the oversight agency for all state agencies in Louisiana. 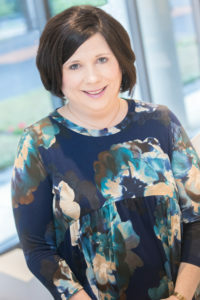 While there, Erin was promoted to senior auditor.After working as an auditor for over 5 years, Erin Tureau was given the opportunity to become assistant treasurer for the local government in the parish where she resided and later a senior accountant at the parish school system. In 2011, Erin become the director of finance for the Louisiana High School Athletic Association (LHSAA) which is a not-for-profit and oversight board for all high school athletics in Louisiana. At LHSAA, Erin Tureau was responsible for maintaining all accounting functions as well as human resource services. In 2016, Erin Tureau relocated to Katy, TX due to her husband’s job. Since being in Katy, she has performed the accounting for her husband’s business and a small construction company. Erin is very excited to be a part of The Strategic CFO and looks forward to sharing her talents and experience with her clients. If you want to speak with Erin Tureau, then the best way to reach her is to fill out the following form. Please leave a detailed message of why you're contacting her (new business, networking, partnership, questions, etc. ).